Financial difficulties rarely raise their head when you’re flush – such is life. Instead, they will crash into your world when you least expect them and can ill afford to set them right. There are ways to deal with such unexpected pitfalls though, which can help see you through until things pick up again. Most of these potential solutions are those best only used or taken out in an emergency, but are worth considering all the same. Read on for some tips on how best to deal with a situation that can affect anyone. If you have savings, this is one of those proverbial rainy days that-may-never-come. But if it has, there isn’t any friend like a savings pot to dip into. However, be careful not to rely on your saving solely, as stripping the account dry when you haven’t got the resources to replenish it any time in the near future would be a mistake. Instead, try and combine use of your savings with another resource.
. . . such as this one. If you already have one, then you’ll know the short-term relief from lack of funds it can bring. If you don’t and are in a position to apply for one, make sure you check out various companies before settling on one and compare and contrast the various APRs on offer. Ensure you only use it for this purpose and not for spending sprees though – or your credit card will itself become another financial difficulty. Of course no one wants to work more than they have to, but if you’re in a sudden desperate situation, it might well be one of the better solutions – for a start, it’s not one that will incur any debt. Taking on some extra work could mean doing overtime at your current job, taking on another part-time job on top of that one, of putting yourself in the market for freelance work. A part-time job needn’t be unpleasant and back-breaking: bar work can be very social, and waitering or waitressing can potentially see you up to your ankles in tips. As for freelance work, if you have any decent skills in any artistic or craft fields, you can almost certainly make a little extra with your endeavours – just be sure to tout your skills around the appropriate online places. The old-school method of putting up cards in local shops or the supermarket is also worth a go. If you’re in a pinch and are wondering ‘Can I get an instant loan?’ then the answer’s probably yes. Payday loans may cost a little more to take out than a bank loan, but the advantage of them – provided you know you will be able to pay it back – is the almost certain acceptance and the speed with which you can borrow. 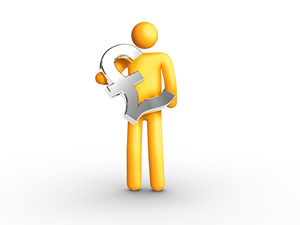 Most payday loan companies charge a flat fee per £100 (in the region of £25). With MyJar, you can borrow up to £100 as a first time borrower, and repay £120 18 days later. If you wish to take out any later loans with them and your credit checks out OK, you could borrow up to 4 times that amount. If you do decide to take out a payday loan, check that the company you ultimately decide to go with have a no rollover policy, i.e. they won’t allow customers to take out a loan with which to repay an outstanding one they already have with them. Is Consolidating Your Debt A Good Idea In The Long Term? Secured Loans & Unsecured Loans: Which is Right for You?